“The risks of these segments are obviously there and one must be mindful while taking investment calls,” said Karthik Srinivasan, group head of financial sector ratings at ICRA Ltd., the local unit of Moody’s Investors Service. Retail investors may have been swayed by the potential returns on offer and haven’t totally taken into consideration the risks involved, he said. Public corporate bond issuance by NBFCs increased to 337 billion rupees ($4.87 billion) in the April-to-January period, the highest for a fiscal year in at least a decade, data from the securities regulator show. Volumes stand to increase for the year ended March as final amounts raised from deals by three more shadow banks, including L&T Finance Holdings Ltd. and Indiabulls Consumer Finance Ltd., are incorporated. 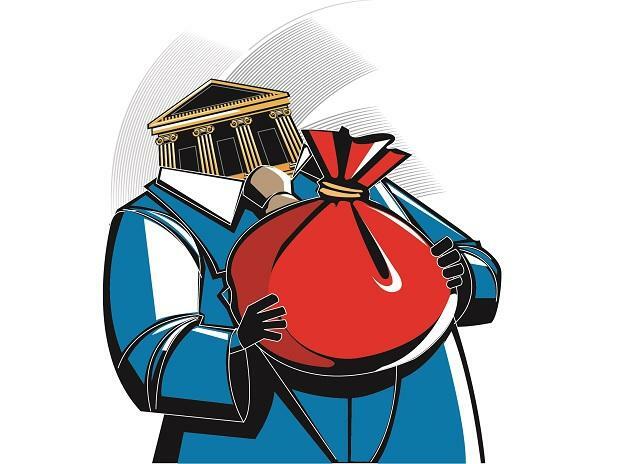 Five non-bank lenders, including L&T Finance again and Shriram City Union Finance Ltd., have come to the market so far in April. About 80 percent of L&T Finance’s base offering of 5 billion rupees has been reserved for individual investors, according to the stock exchange. In addition, “you don’t have too much secondary market liquidity, so you need to cherry-pick which investments you would be doing and begin with the mindset that you are going to be holding instruments to maturity,” ICRA’s Srinivasan said. Infrastructure Leasing & Financial Services Ltd.